Founded in 1997, The Restaurant People (TRP) has developed, managed, and operated more than 70 restaurants since its inception, delivering ground-breaking culinary and hospitality experiences that engage South Floridians and continuously exceed expectation. The premier Fort Lauderdale-based hospitality group has conceptualized and brought to life some of the most in-demand restaurants and nightlife venues in the market for over two decades, including YOLO and O Lounge, S3, Boatyard, Spatch Grilled Peri-Peri Chicken, and most recently, Rooftop @1WLO and TRP Taste. TRP’s Executive Team is comprised of Tim Petrillo, co-founder/CEO; Executive Chef Peter Boulukos, co-founder/culinary director; Alan Hooper, co-founder/construction development manager; and Aaron Abramoff, director of operations. Together, this dynamic foursome has helped breathe life back in to the Fort Lauderdale culinary and nightlife scene for more than 20 years. 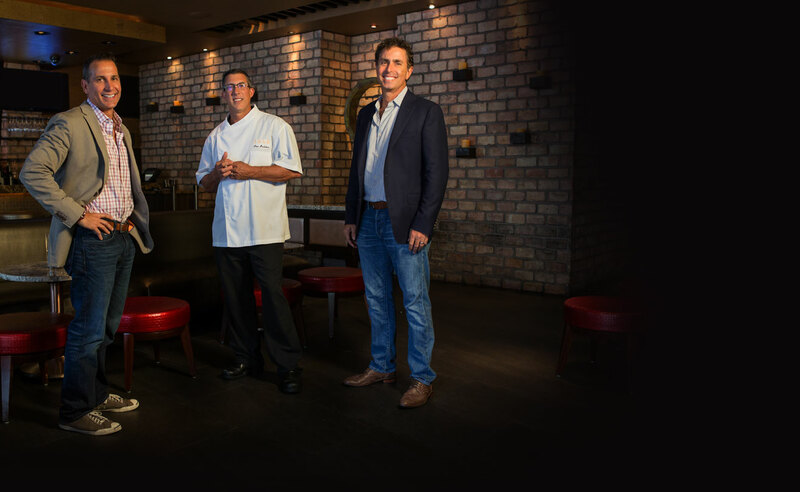 Founded in 1996, The Restaurant People (TRP) has grown to become South Florida’s premier dining, hospitality and entertainment firm. 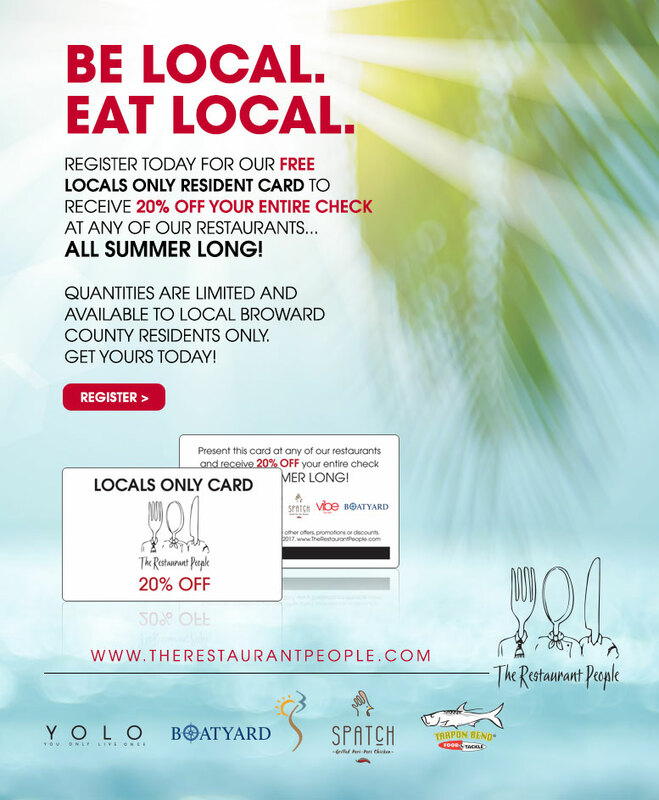 The company currently owns and operates some of the hottest restaurants and nightlife venues in Fort Lauderdale, including Tarpon Bend Food & Tackle, YOLO and O Lounge, S3 at the Hilton Fort Lauderdale Beach Resort and Boatyard. The company is also responsible for bringing to life such other popular Fort Lauderdale restaurants as Himmarshee Bar & Grille and Side Bar and The River House. TRP’s Executive Team is comprised of Tim Petrillo, President and co-founder; Peter Boulukos, Executive Chef and co-founder; and Alan Hooper, Construction Development Manager and co-founder. Petrillo is considered the dreamer of the operation. He pulls inspiration for new concepts from the world around him, identifies a market need, and develops a plan that fills the void and fits the market. Boulukos takes on the role as the taste maker, creating menus and adding flavor to every TRP concept. His career has taken him through monumental experiences including a successful time with the CIA, and various top chef positions at renowned restaurants across the country. Hooper is the one who gives shape to TRP’s endeavors. Assisting in scouting locations and developing the structures to house these restaurants, Hooper’s skill set puts action to the plans and builds the places that keep guests returning. Together, the Executive Team of TRP has helped to breathe life back into Fort Lauderdale for more than 18 years, launching cutting-edge concepts that engage South Floridians, and delivering the most innovative culinary and entertainment experiences to Fort Lauderdale.